Nanocomposite powders of anatase TiO2 doped with Ni ions (TiO2:Ni) were synthesized by facile thermal co-decomposition of a mixture of metals complexes. The X-ray diffraction (XRD) analyses using the Rietveld method confirm the formation of almost single nanocrystalline anatase structure. Anatase TiO2 incorporated with Ni ions (TiO2:Ni) illustrated the formation of a substitutional solid solutions (SSS). The diffuse reflection spectroscopy (DRS) method used to study the optical properties of the prepared samples revealed a redshift associated with Ni doping and hydrogenation, which is explained by the creation of point defects including O-vacancies. 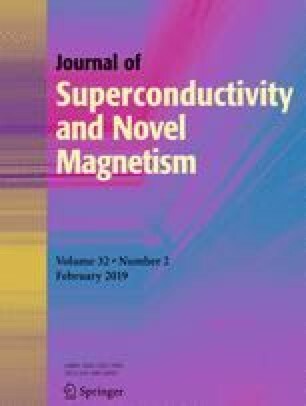 This study showed the essential importance of hydrogenation process in order to create or boost room-temperature ferromagnetism (RT-FM). The magnetic measurements indicated that anatase TiO2 doped with 4.8 mol% Ni produce a magnetic saturation of 0.84 emu/g, which is a remarkable result compared with that related to the similar studies on doped TiO2.